Gray is a popular color this season, but no need to keep it dull and drab. 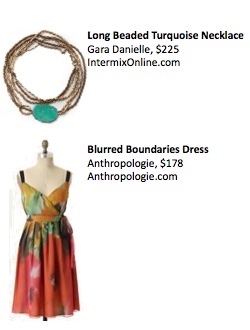 Kick it up a notch with a pop of color in your blouse or accessories. Look for items that are a fresh take on classic pieces. Layering is your friend. 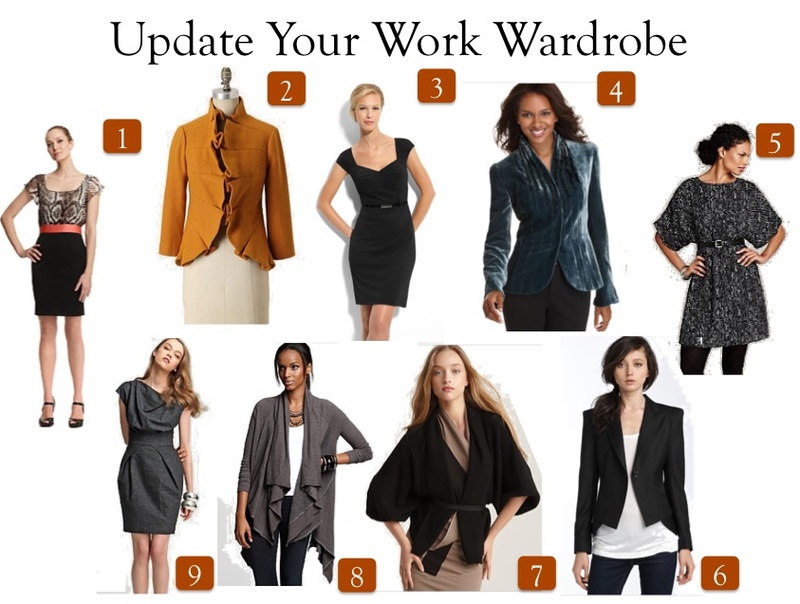 Even though it’s cold outside, it may be warm in your office, so sweaters, cardigans, blazers and ponchos are great pieces to always keep on hand. It’s hot, but that doesn’t mean you have to compromise on your style when you are out on a night on the town. Whether you’re going out to dinner, a concert or a lounge, here are some great looks to keep in mind. Recently Zoe Saldana was seen attending the Women in Film’s Crystal + Lucy Awards in this fabulous Max Mara ruffle dress with Christian Louboutin shoes. Though we’re not sure how much the ensemble cost, we’re pretty sure it was over $2000. Want to know how to get the look for about 10% of the price? We’ll tell you how here! 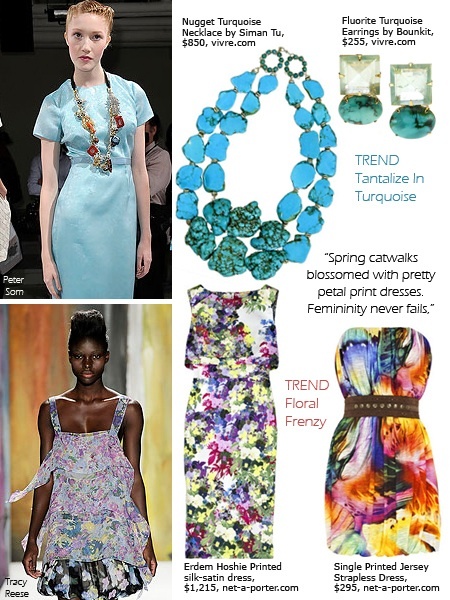 Jones magazine’s Tracey Ferguson selected some of her favorite trends for this spring: Turquoise pieces and Floral dresses. Yellow is a great color. Not only is it a happy color that make things brighter, it also looks great on darker skin tones. Check out these fabulous yellow dresses whether you’re petite, curvy, or somewhere in between.